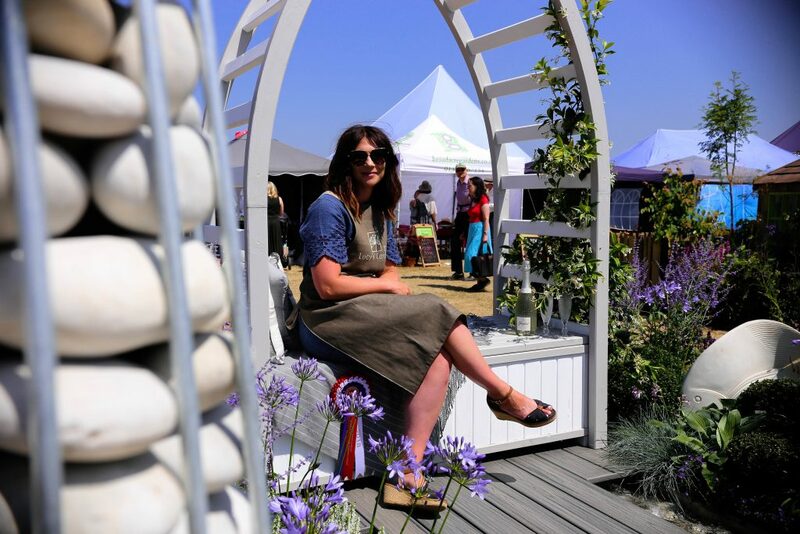 We were thrilled to hear that a Royal Norfolk Show garden created by Lucy’s Garden Design won 3 awards! 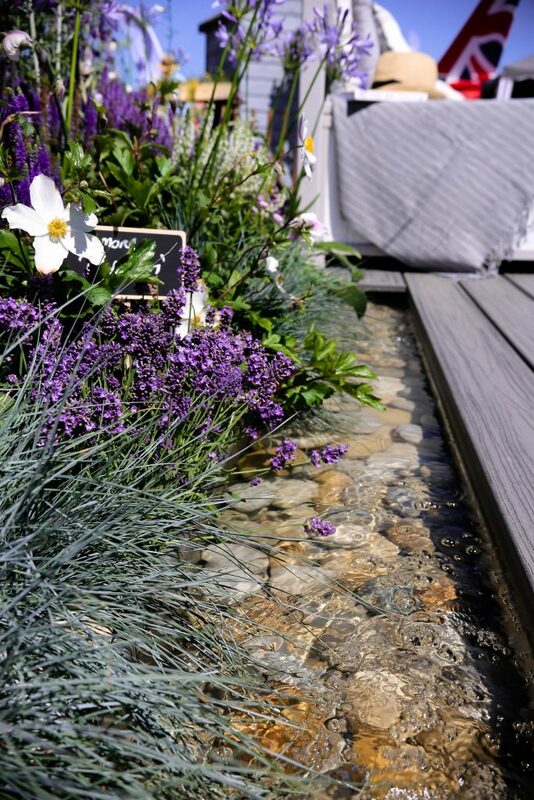 Featuring our stunning Duck Egg Cobbles, the garden attained The Gold Medal, The Visitors’ Vote and Best in Show! The theme for the show was ‘coastal and well being’. Therefore Lucy contacted Stone Warehouse and asked us to supply our popular Duck Egg Cobbles. This was because she felt their pastel colours perfectly represented our coast. As Lucy was drawing inspiration from our iconic East Anglian coastline, she wanted to interpret Cormier pier and Southwold lighthouse into the design. 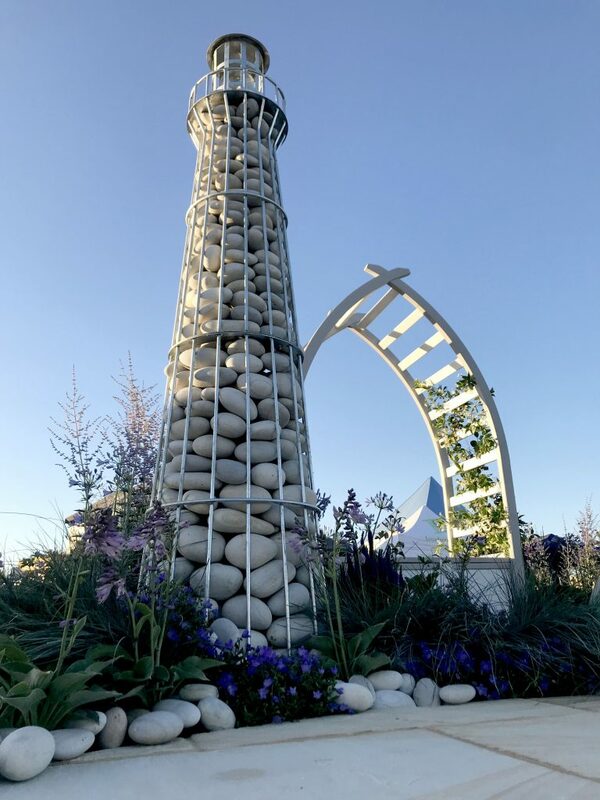 Therefore she had a lighthouse created out of stainless steel which our Duck Egg Cobbles were used to fill. This formed the elegant centre piece of the garden and was a huge crowd pleaser. Additionally our cobbles lined the water rivulets in the garden. The water brought out the beautiful subtle shades of bluish grey, white, cream and buff in the stones. 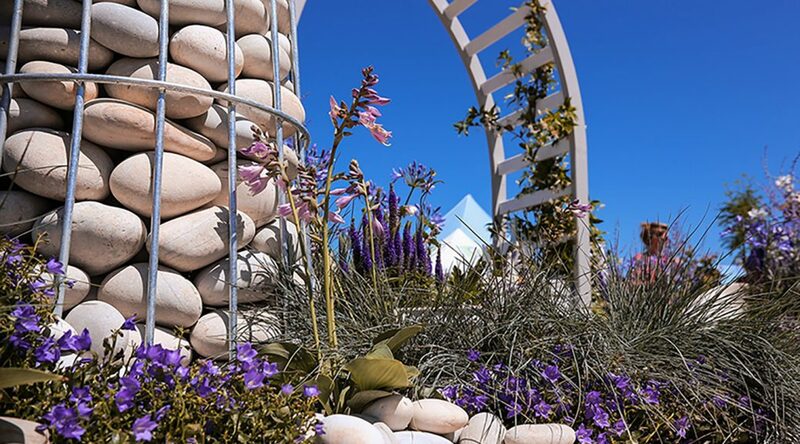 For the show Lucy envisioned a contemporary garden which incorporated a multipurpose space for entertaining and relaxing. When we saw the pictures we thought the garden looked spectacular and weren’t surprised she won 3 awards! Finally after a very busy summer Lucy managed to update her blog. In which the whole experience from design, planning and preparation to implementation and accomplishment is detailed. You can view her blog post here. If you want to use Duck Egg Cobbles in your landscaping project please click here to view the product.